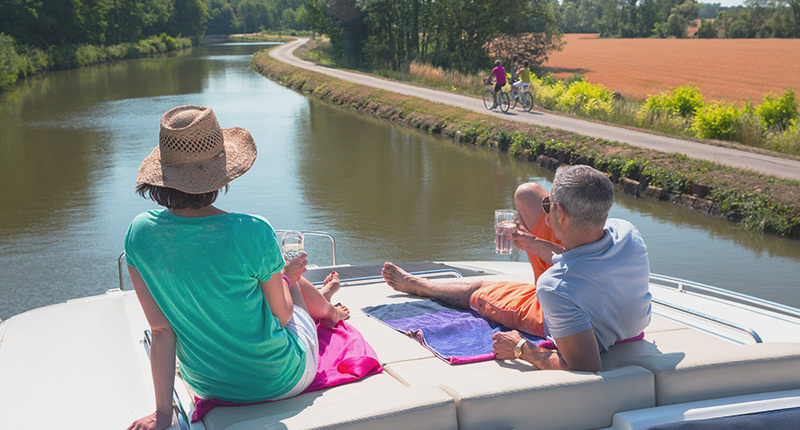 Unique to Le Boat (and Emerald Star in Ireland) and unlike any other boat on the waterways, the Vision range boasts the very latest in marine technology for efficient and effortless cruising. Available in six different models, each configuration offers a modern, spacious and sumptuous interior which will appeal to everyone looking for a truly comfortable cruising experience. The SL boats have easier access between the saloon and sundeck via a staircase and a lower clearance level for access to more itineraries. Large windows on all sides increase the feeling of light and space as well as provide panoramic views. Filled with soft colour tones and contemporary décor, the saloon offers superior visibility of your surroundings along with air-conditioning, flat-screen TV and more. There is a fully equipped modern kitchen with gas oven, hob and large fridge. Enjoy it all from the best seat on the water, the sun deck! 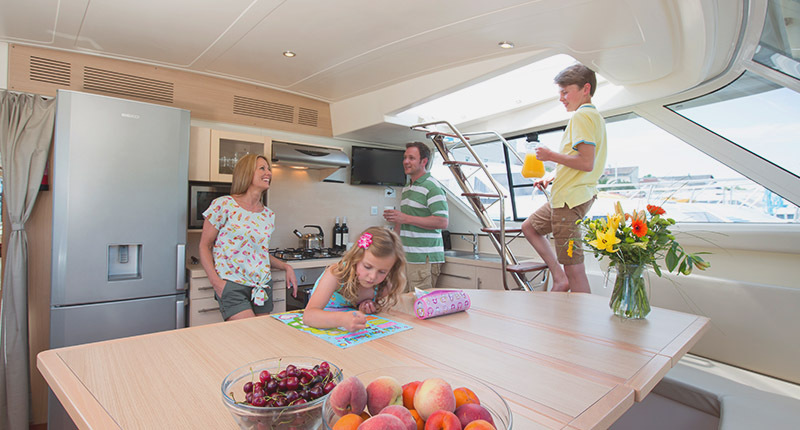 For entertaining and alfresco dining in style, there’s a grill, bar fridge, sink, and cupboard plus a collapsible sunshade (bimini) with more than enough room for everyone to enjoy! The joy-stick manoeuvring function makes our largest boat the easiest to handle and offers you a completely unique experience. The large hotel-style cabins each have modern en-suite facilities for maximum privacy and standard adult sized beds with full mattresses. 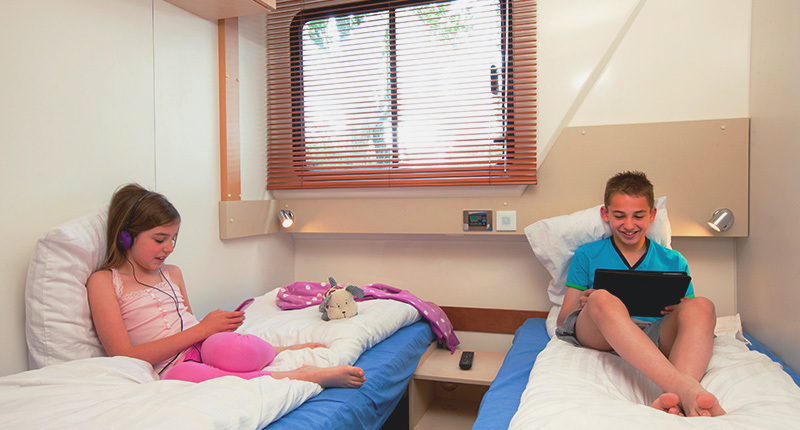 Each cabin can be arranged as either a double or a twin for maximum flexibility. With all the conveniences of home, the Vision series is comfortable for all moments of your holiday.